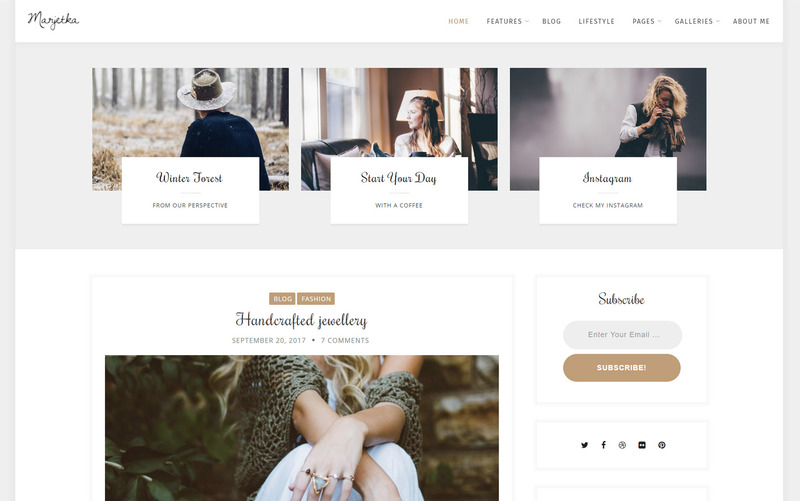 MarjetkaÂ is a feminineÂ WordPress Fashion BlogÂ for all the Bloggers out there who strive towards minimalism and simple colors (with pink and purple tones). Its retina ready and fully responsive design will look amazing and work fluently on all the devices, mobile, tablet, and desktop. To save time and start your online experience even easier and quicker, Marjetka comes withÂ 8 pre-defined demosÂ that you can install with one simple click of your mouse or trackpad. You can check all live demos in the preview below. 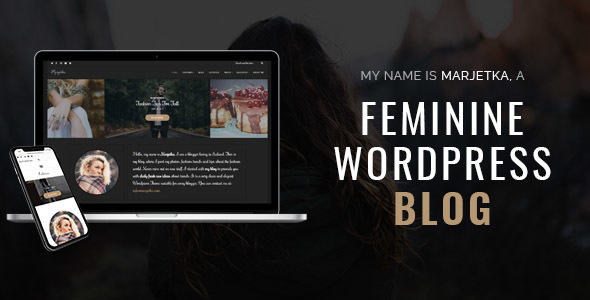 With Marjetka feminine Wordpress blog theme you will get a modern blog, with a lot of customizable options. Popular Revolution Slider and Essential grid plugins for presenting your beautiful creations and photographs are already included. Our developers and designers spent countless hours crafting the ideal layout for Marjetka. 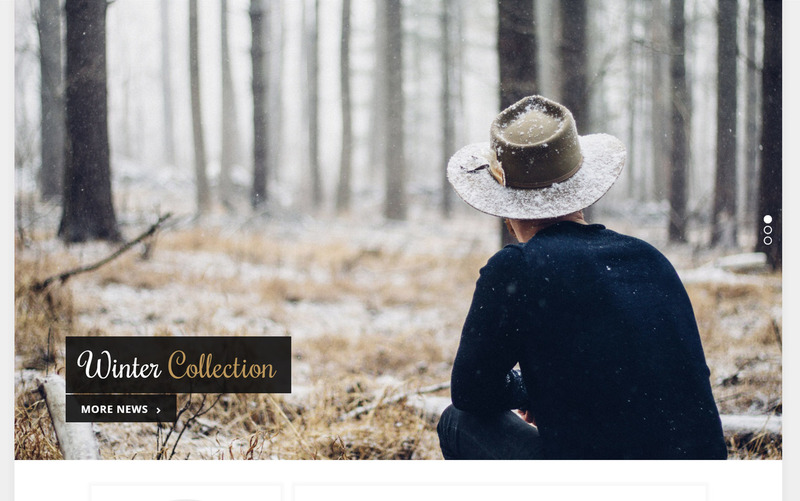 The outcome is a minimal and sophisticated theme for you to show your fine content and photographs. 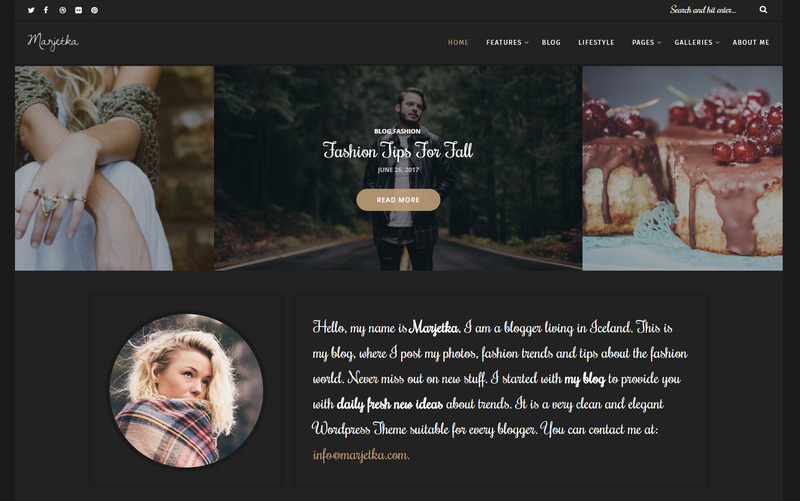 If you love fashion WordPress theme then Marjetka is made for you! Typography adds a special touch to the theme. With Rochester as heading font, the feeling of the theme is unique and will be loved by everyone that appreciate an extra spark on the website. It will be among the best feminine websites for sure. Marjetka is fully responsive and retina ready. It looks amazing on mobile devices. Need to tweak a small setting to suit your brandâ€™s style guideâ€™ We have made this simple with the Powerful Marjetka Theme Optionâ€™s Panel. If you need to override a master setting, fear not! You donâ€™t even have to edit the stylesheets which can be disastrous if you are not a webmaster, just use the Theme Option panel to add your own custom CSS to the part of the theme you wish to update. Marjetka can be so much, and more! With only a few tweaks within themeâ€™s admin panel and Revolution Slider, you can change the design to fit your needs. Our 8 live previews illustrate just how many different styles Marjetka can manage. 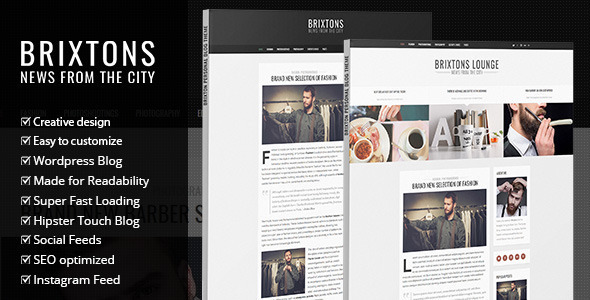 You can turn Marjetka from a clean and elegant Fashion style, to a dark, manly, hipster design in just a few clicks. MarjetkaÂ WordPressÂ feminine blog theme comes pre-built with a selection of 8 unique layouts for your blog and homepage needs. 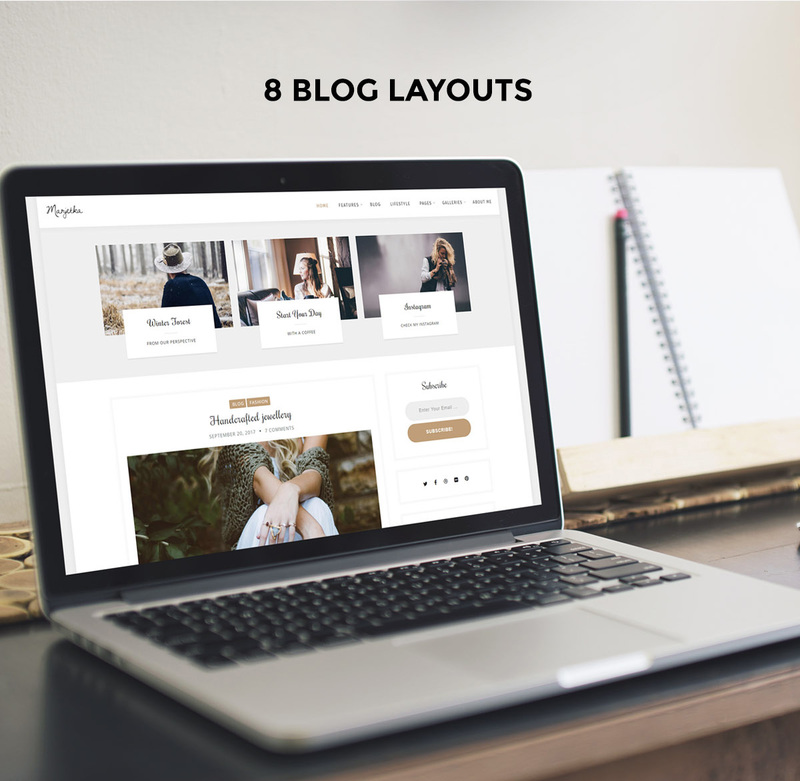 You can select your blog layouts with sidebars, or full-width layouts â€” both layouts include featured posts and about widgets underneath the menu navigation. You can preview each of the layouts on our live demo page, though design layouts are not limited as you can create custom layouts based on content and layout blocks provided by the Marjetka theme. If you need a Grid Layout presentation, look no further as Marjetka will happily accommodate those customers who prefer this kind of layout. 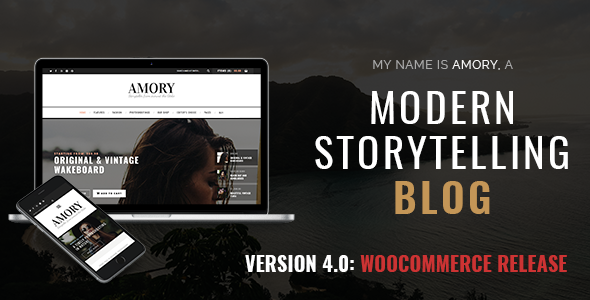 Instead of setting up the blog theme manually, you can now automatically import all the content. 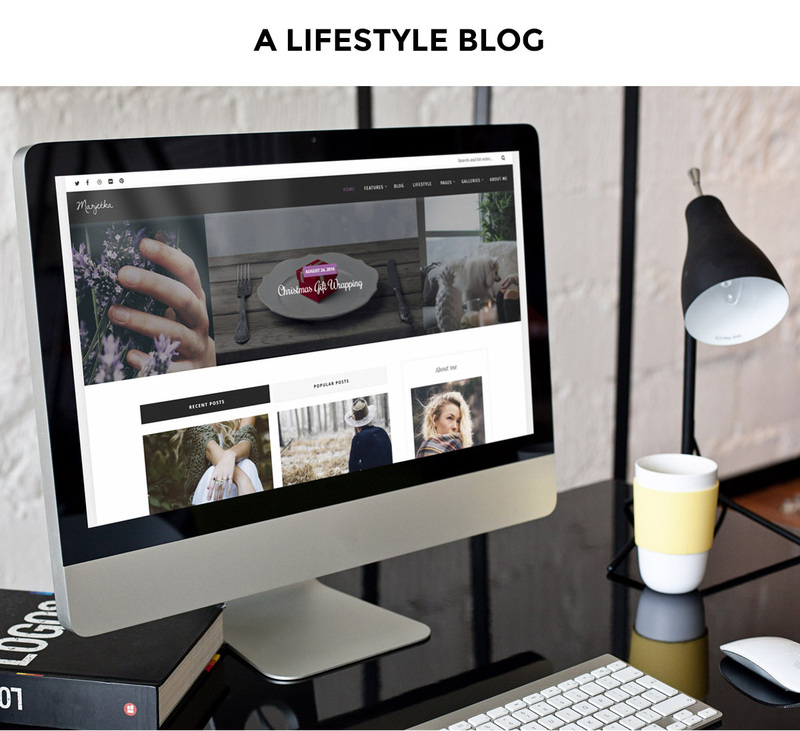 This gives you the power to have your fashion blog up and running in just a few minutes.Â After theme installation, go to theme admin panel and click on the Import tab. Read the instructions carefully. We recommend to run it only on a fresh Wordpress installation. You can select to import all demo content or only content for sliders. Also, choose which demo you would like to import. Please note that you can change the skin later from themeâ€™s options with one click. As a result, yourÂ blog should already be attracting new visitors. Youâ€™ll also be saving money with the inclusion of Revolution Slider for Marjetka, and rest assured of full compatibility because it has been designed specifically alongside this powerful Plugin for you. Designed with the most powerful Slider on the Market today, Revolution Slider is one click away from installation upon purchase, from there the skyâ€™s the limit with amazing functionality and powerful page building tools with the Visual Editor. Itâ€™s so much more than just a slider we feel that it compliments Marjetka perfectly, and so will you. 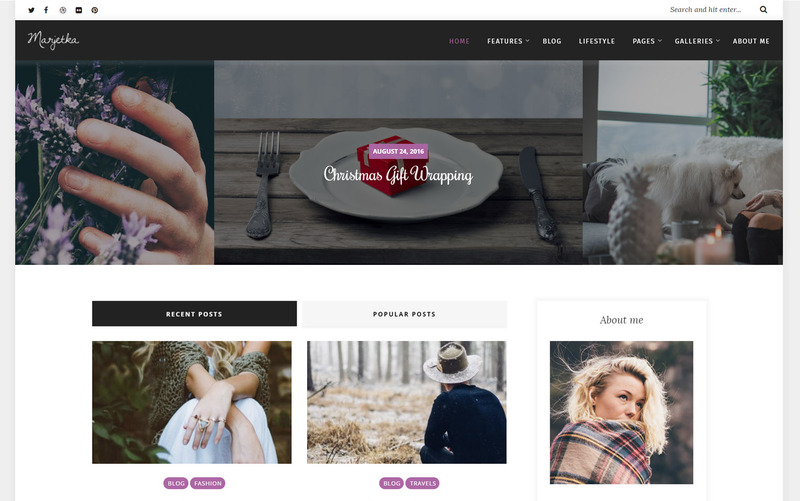 If you are looking for a beautifully designedÂ WordPressÂ blog theme with pink and purple tones that is also lightning fast, look no further. 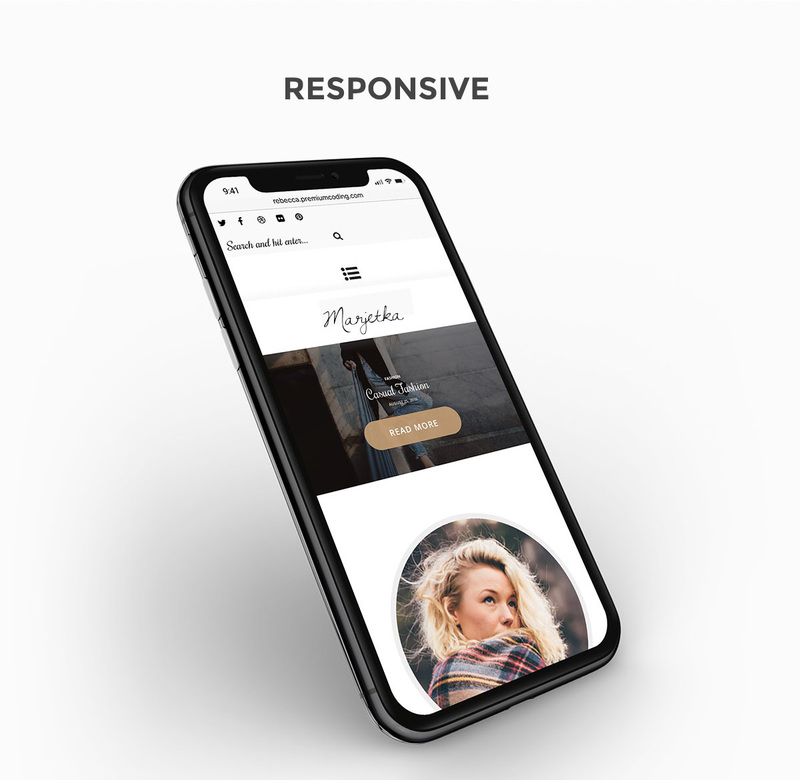 Marjetkaâ€™s design and code has been built specifically for optimal website performance, you can pick and choose what to show on your site, and no extra resources will be loaded. The best blogs perform well because theyâ€™re friendly to the readerâ€™s eyes, and when building Marjetka we gave extra attention and detail to the way we display fontsÂ and font hierarchy across the content display pages. We really wanted to add a bit of feminine touch to the theme. On top of that, we carefully structured font weight, characters per line, baseline grids, contract, and colors so that the reading experience is without a question smooth, and pleasant to the reader. The leading font is Rochester (handwritten font) which gives the â€œgirlyâ€ look to the theme. 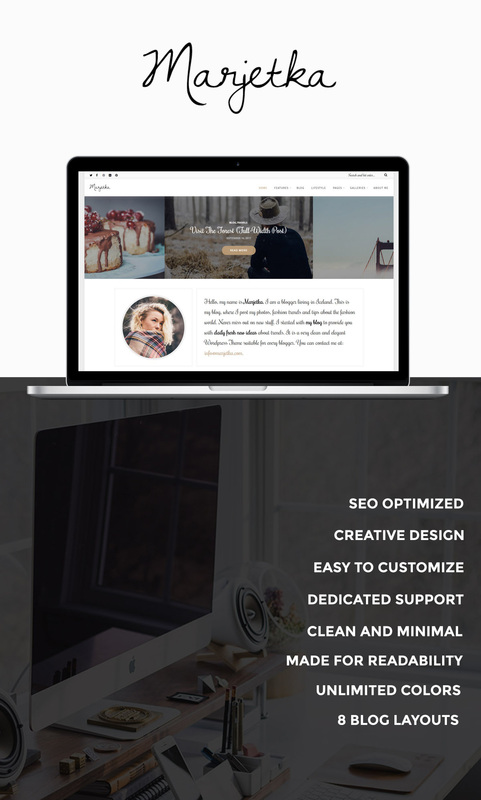 TheÂ best WordPress feminine themesÂ come with great SEO flexibility, and we pride ourselves on our ability to make Marjetka an SEO-friendly theme right from the start. Our code is semantic and follows the latest HTML5 and CSS3 best practices, ensuring that the site is in compliance with the latest requirements of modern search engines. We know how important it is to be able to customize the color and layout scheme of your blog, without the need to dig deep into the codebase of the theme. Marjetka gives you the option to modify the color scheme of your blog or website in any way imaginable, and you can select custom layout elements based on your requirementsÂ so that your blog is never cluttered with something that you donâ€™t want to be there. Apart from the design, itâ€™s also the plugins that you choose that make your blogging experience so much better, and Marjetka proudly supports all known andÂ popular WordPress pluginsÂ commonly found to be used by the average WordPress website:Â Contact Form 7, Facebook Widget,Â Instagram Feed, MailPoet Newsletters, Recent Tweets Widget, Shortcodes Ultimate,Â Slider Revolution, Essential Grid and many more.